After the 160 split, we’re a mile from Route 413. 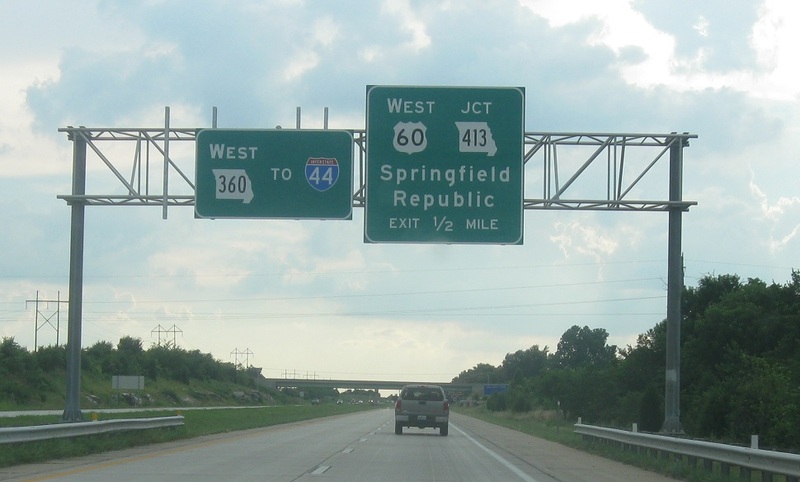 As we approach Routes 413 and 360, the main carriageway will turn into Route 360 and head up to I-44. 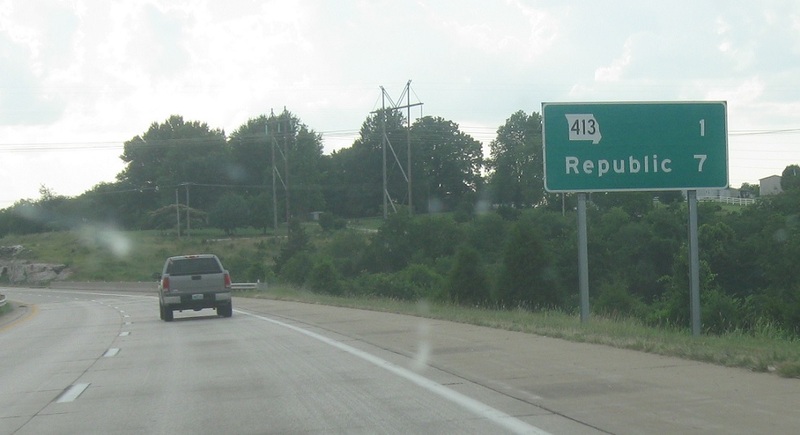 We’ll exit for US-60 and Route 413. Exit for US-60 and Route 413. 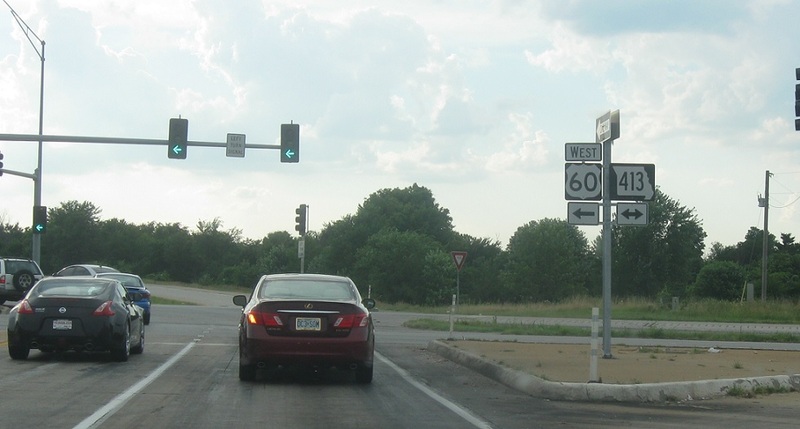 Follow 360 and the freeway to I-44. 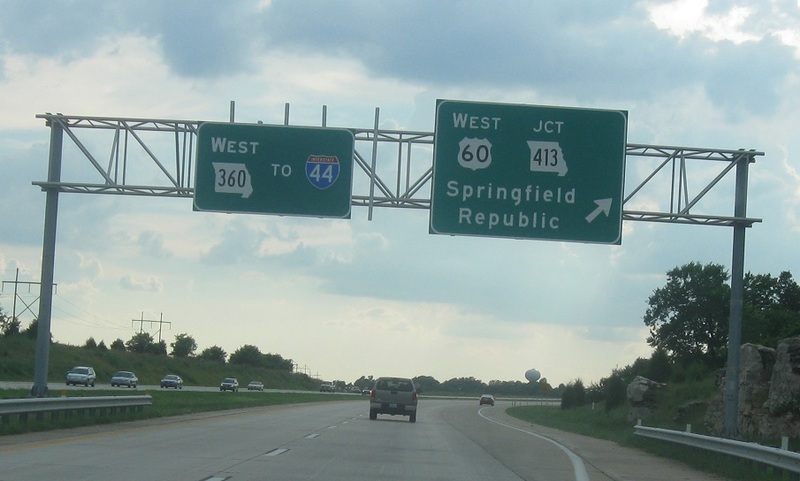 Turn right for 413 east into downtown Springfield. Turn left for US-60 and Route 413 west.